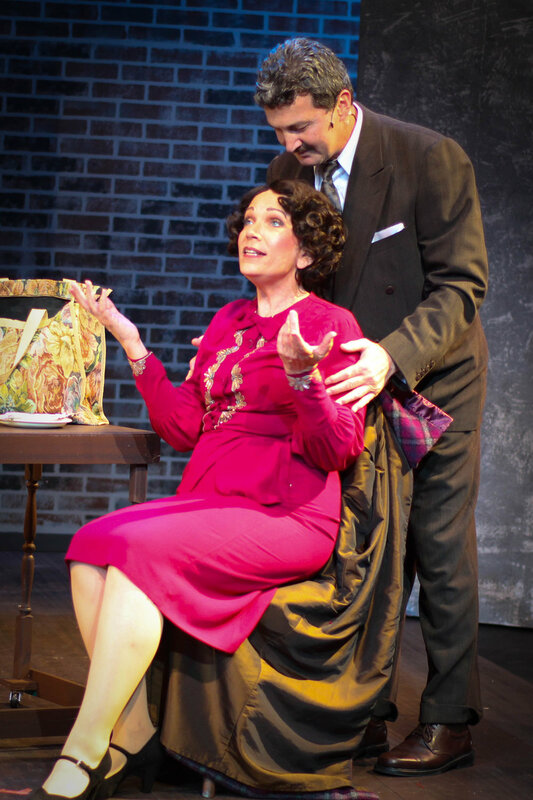 Music Theatre of Connecticut MainStage, Fairfield County’s professional award-winning theatre company, will open its 30th Anniversary Season with a revamped production of “Gypsy.” The season-opener will run September 9-25. Staged in a cozy 110-seat theatre, this production of “Gypsy” offers audience members the intimacy of a local theatre with the professionalism of Broadway -- an experience only MTC MainStage can provide. Leading the “Gypsy” cast as Rose is Kirsti Carnahan, who starred in the original cast of Broadway’s “The Kiss of the Spider Woman” and in other Broadway productions including “King David,” “Baby,” “The Three Musketeers,” “Les Miserables,” “Cats” and “Annie.” Her regional credits include: “Mamma Mia!,” “Driving Miss Daisy,” “Sweeney Todd,” “Doubt,” “Hello, Dolly!” and “Mame.” Paul Binotto plays Herbie, and his Broadway credits include the original company of “Dreamgirls,” “Starlight Express” and the first revival of “Hair.” He appeared with The New York City Opera in “Sweeney Todd” and “Candide,” and Off-Broadway credits include: “Enter Laughing” and Forever Plaid.” Kate Simone plays Louise, and has appeared in Broadway’s Roundabout Theatre Company’s workshop of “Sunset Boulevard,” with regional credits including, “South Pacific” at The MUNY and “Camelot” at Sacramento Music Circus. Rounding out the cast are Brittany Cattaruzza (“42nd Street”), Joe Grandy (“Irving Berlin’s White Christmas” National Tour), Jeri Kansas (“Sugar Babies” on Broadway), Marca Leigh (“The Taming of the Shrew”), Carissa Massaro (“Jane Eyre: The Musical” on Broadway), Peter McClung (“Baby” Off-Broadway), Chris McNiff (“Memphis” National Tour), Abigail Root (“Peter Pan”) and Jodi Stevens (“Urban Cowboy” on Broadway). 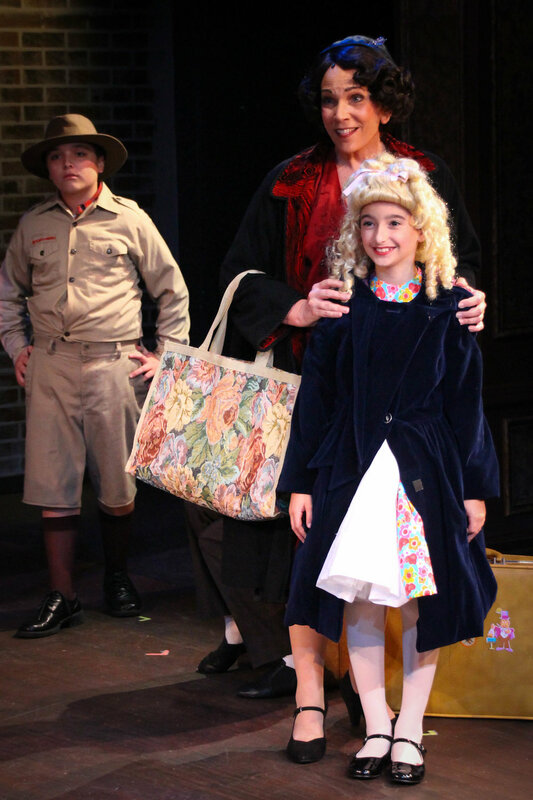 The cast also features four young actors: Abby Sarah Dahan, Jonah Frimmer, Charlie Pelletier and Natalie Steele. “Gypsy” is directed by MTC Co-Founder and Executive Artistic Director Kevin Connors. The design team includes set design by Carl Tallent, lighting by Michael Blagys, costumes by Diane Vanderkroef, choreography by Becky Timms and musical direction by Thomas Martin Conroy. The production is stage managed by Jim Schilling. The MTC MainStage 30th Anniversary Season will continue with “Sleuth” (November 4-20), “It’s a Wonderful Life: A Live Radio Play” (December 9-18), “I’ll Eat You Last: A Chat with Sue Mengers” (February 24-March 12, 2017) and “The End of the Rainbow” (April 7-23, 2017). Season subscriptions to see all five productions, including “Gypsy,” are still available starting at $120. The MTC MainStage 30th Anniversary Season is generously sponsored in part by The State of Connecticut Department of Economic and Community Development and The Hour/Hearst Connecticut Media Group. Ticket prices range from $30-$55, and are available now online at www.musictheatreofct.com or by phone at (203) 454-3883. Performances are September 9-25, Fridays at 8pm, Saturdays at 4pm and 8pm and Sunday at 2pm. MTC MainStage is located at 509 Westport Avenue (behind the Nine West Outlet) in Norwalk, CT.
Paul Binotto (Herbie & Uncle Jocko) Broadway credits include the original company of Dreamgirls, Starlight Express, the first revival of Hair, King Of Schnorrers, One Night Stand and It's So Nice To Be Civilized. Off Broadway credits include Enter Laughing, Forever Plaid, Ionescopade and Shindig. At The New York City Opera Paul was in Sweeney Todd and Candide. He performed Forever Plaid at the White House for President and Barbara Bush as well as on a world cruise. Paul has previously played opposite Kirsti Carnahan in the New Harmony Theatre production of Pete 'N' Keely. Kirsti Carnahan (Rose) Original Marta in Kiss of the Spider Woman, playing Toronto, London, and Broadway with Chita Rivera and Vanessa Williams. Other Broadway/National Tour: King David, Baby, The Three Musketeers, Les Miserables, Cats, Annie. Regional/Stock: Mamma Mia!, Driving Miss Daisy, Sweeney Todd, Doubt, Hello, Dolly!, Mame, etc. Proud member of AEA since 1983. Jeri Kansas (Tessie Tura & Others) began dancing professionally as a Rockette at Radio City Music Hall. She was an original Sugar Baby in the Broadway production Sugar Babies with Ann Miller and Mickey Rooney. Then Gower Champion cast Jeri to originate the role of Phyllis in David Merrick's Tony Award-winning musical 42nd Street. Other regional theatre credits include Eulalie Shinn in The Music Man, Mona Lipschitz in Chicago and Anytime Annie in 42nd Street. Ms. Kansas has choreographed Brigadoon, Sweet Charity, Anything Goes for Richter Musicals in Danbury and Billy Elliot at Thomaston Opera House. At MTC, Jeri choreographed The World Goes 'Round. Thank you to Kevin for the opportunity to share in his vision of Gypsy! Marca Leigh (Electra & Others) recently appeared in The Taming of the Shrew as Bianca outdoors at the American Shakespeare Theatre in Stratford, CT. Other recent credits include Shakespeare and the Heart's Desire as The Dark Lady at the Darien Arts Center, Short and Sweet at MTC and Strindberg's Dollhouse as Marie David at the National Arts Club in NYC. Marca is also an accomplished visual artist and cartoonist and member of the Theatre Artists Workshop, AEA, SAG and AFTRA. Carissa Massaro (June & Others) is incredibly excited to be a part of this iconic show! Broadway: Jane Eyre the Musical (Young Jane u/s) Regional favorites include: The Fantasticks (Luisa: CT Circle Nominee for Best Leading Actress in a Musical), Vanya and Sonia and Masha and Spike (Nina), Evita (The Mistress) all at MTC MainStage and Fiddler on the Roof (Chava) at STAGES St. Louis. She was most recently seen in the NYMF reading of Play Like a Winner at Playwrights Horizons. Special thanks to Kevin & Jimmy and to friends and family for all your support and love -- especially Mom, Dad, Brandon and Chris. Peter McClung (Father & Others) is thrilled to be back at MTC! You may have "heard" him in MTC's production of Little Shop of Horrors as Audrey II. Peter was recently seen in the Off Broadway production of the musical Baby. He has performed in many regional theaters to include The Fulton, The John Engeman, Maine State Summer Theatre, White Plains Performing Arts, Arena Stage and others. He toured for yearswith the political satire group The Capitol Steps. Favorite roles include Sweeney in Sweeney Todd, Charlie in August: Osage County, Tony in The Most Happy Fella, Lazar in Fiddler on the Roof, Amos in Chicago, Lenny in Of Mice and Men and the Lion in The Wizard of Oz. Tonight's show is for his "Mama Mary Lou" with love and gratitude for always knowing when to "let go." Love you Mom! Abigial Root (Agnes & Others) was most recently seen in Downtown Cabaret’s Peter Pan Jr. Other credits include Illinois Wesleyan’s A Children’s Hour, Promenade and Country Club. Abigail is a two time recipient of the CHSMTA for Outstanding Choreography for her work at Trumbull High School. BFA Music Theater Illinois Wesleyan University. Also featuring . . .
Kevin Connors (Director, Executive Artistic Director & Co-Founder) Off-Broadway credits include Play Like A Winner (2016 NYMF), Prime Time Prophet, Jukebox Saturday Night, The Abandoned Loves of Frederick R., Life Anonymous, Lover - The Valentino Musical, Babes Off Broadway, Saloon and Suzy Q. Regional credits include The Fantasticks, Baby, It’s a Wonderful Life: A Live Radio Play, Babes in Toyland, Bah Humbug!, Grand Re-Opening of the Palace Theatre starring Skitch Henderson, Louise Pitre, James Naughton and Joan Rivers. Mr. Connors began his career as a performer touring his own act with Bob Hope, Henny Youngman and Johnny Mathis. In 1987 he co-founded Music Theatre of Connecticut with Jim Schilling, and has since directed many of the MainStage productions including Yours, Anne, It’s a Wonderful Life: A Live Radio Play (Moss Hart Award Winner), The Fantasticks, A Little Night Music, Edges, john & jen, Doubt, Evita, Little Shop of Horrors and Master Class. He is a six-time Connecticut Critic's Circle Best Director nominee and the recipient of the CCC's Killen Award for Outstanding Contribution to Connecticut Professional Theatre, as well as a Connecticut Legislative Citation for Execllence. As a composer he has penned the score for both It’s a Wonderful Life: A Live Radio Play and A Christmas Carol: A Live Radio Play (with playwright Joe Landry and both published by Playscripts, Inc.). He served as Adjunct Professor at The Hartt School of Music/University of Hartford, Sacred Heart University, the University of Bridgeport, and at Musical Theatre Works in NYC, and created many of MTC’s educational programs including the nationally-recognized College-Bound in the Performing Arts. Proud member of AEA, ASCAP and The Dramatists Guild. Jim Schilling (Managing Director, Co-Founder and Stage Manager) co-founded MTC in 1987 and has served as teaching artist, Artist in Residence, director, general manager, actor, producer and currently as Director of the School of Performing Arts and MTC’s Managing Director. Acting credits include John Guare’s A Day for Surprises, Upper Broadway (Westport Country Playhouse), Hamlet (with Tony Roberts), South Pacific (with Jamie Farr), The Fantasicks (Rich Forum) and on MTC’s MainStage in Jacques Brel is Alive and Well..., Three Guys Naked from the Waist Down, Yours, Anne, It’s a Wonderful Life: A Live Radio Play, Doubt, Almost, Maine, God of Carnage, The Fantasticks, A Christmas Carol: A Live Radio Play and last season’s Vanya and Sonia and Masha and Spike. Film credits include Bullets Over Broadway, Cadillac Man, Soapdish and as Sean Penn’s double in Dead Man Walking. Jim holds a BFA degree in Musical Theatre from Otterbein College and was also trained at the Actors’ Theatre of Louisville, Playwright’s Horizons in New York City and Improv Asylum in Boston. Jim, a graduate of the National Guild of Community Schools of the Arts’ AMICI Arts Management Program, continues as a Blue Ribbon Panelist for the Daytime Emmy Awards, and is on the voting committee for the SAG awards, and a member of “Who’s Who in the American Theatre” from 1991-present. Jim is a proud member of Actors Equity Association since 1980. Member AEA, SAG, AFTRA. Gypsy is presented by arrangement with Tams-Witmark Music Library, Inc. 560 Lexington Avenue, New York, NY 10022.